Over the years, the company has gained a prominent name for exporting and supplying P-Force Tablets from West Bengal, India. Our Tablets are widely demanded due to their high quality and treatment against male sexual disorder. 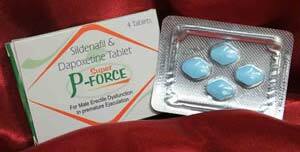 We are capable of catering even bulk orders of P-Force Tablets and ensuring timely deliveries all across the world.